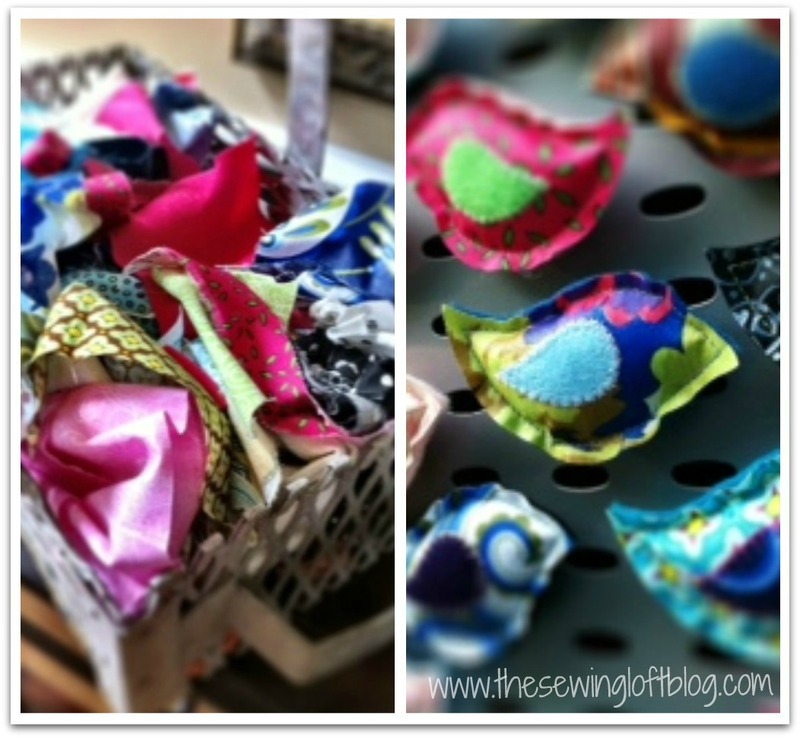 Well, as I mentioned in my last post ….. My scrap basket over flows from time to time! That means it is time to create something fun to share with everyone!! A few weeks ago, my basket was crazy and I just pushed everything to the side and had some fun! Personally, I like the magnets.. So that will be the focus for today’s craft! You can really do this with any basic shape but the birds were on my feeder having a feast on project day and were on my mind. To help manage my scraps, I made my birds small. This pattern is to scale. Apply a thin layer of Mod Podge to your pressed scraps to “stiffen” the fabric and give it more texture. Then, super simple, match your front and back birdies together and straight stitch them together leaving a 1″ opening at the bottom. Stuff with poly fill. Be careful not to over feed your birds they will get fat!! 😉 Stitch the opening closed. With your trusty glue gun in hand, apply a dab of glue at the center and attach your button magnet. 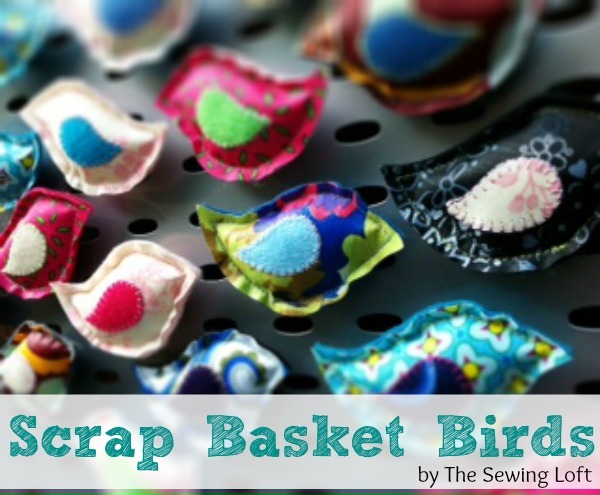 These little birdies are a fun way to use up your scraps or even reclaim that special printed dress your child has out grown. What did I say ~super simple! Would love to see what you can create with this… please share photos on my facebook page! Another great way to connect with me is via Facebook, Pinterest, Twitter , Google+ or Follow my blog with Bloglovin. I’m looking forward to getting to know you and creating together! Thanks so much for stopping by to say hello!! the birds are cute, and the pattern is free ,but I don’t see the template to so I can print it out . Gotta try this! Thanks & Happy Trails! Please be sure to send me photos. I would love to see! Thanks so much. I just thought of another use for these little pretties…. How about sewing weights? You could fill them with rice and use them instead of pins. I think I am going to make a bunch!! I loved your birds and the readers of my blog too. They are super! Thank you again for stopping by my little site. I just love the thought of my little birds leaving the “nest” and exploring the world! Thanks for a simple idea that can be transformed in so many ways….I used your birds to finish off some bunting that I made for a swap. These are so cute! 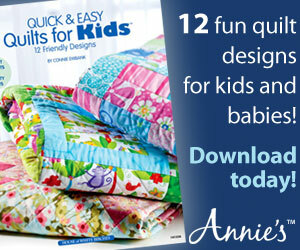 Perfect for embellishments. I love them too! My girls made them into pins and wear them on the school bags! Found this via Crafty Crow and just wanted to say what a great idea this is. I love the little birdies and how versatile a craft this is. Thanks! I’m pinning this on my Pinterest (http://pinterest.com/astromen/). What an awesome project! I don’t have a sewing machine right now, but I know I could hand sew them! Thanks so much for sharing your creativity! Thanks Jenn! You can totally hand sew these little cuties! Maybe try some embroidery floss for a fun look. Please share pictures!! I would love to see them! What a lovely idea!! They look so cute; could think of so many ways to use them! Thanks for sharing! These would make adorable cat toys as well! Replace the magnet with another wing, omit the Mod Podge, and voila! Instant cat toys! 😀 You could even add some cat nip to the inside or mist it with liquid nip to make them really appealing! I love that idea!! Please send me pictures if you make them. I will be sure to share them on my Facebook page. Oh, this one is so cute! Can I link to it as tutorial of the month on our nederlandseswappers (dutch swappers) blog? And would you mind if I let that be accompanied with one of your little birdie photos? I think you could make a super cute mobile out of these, too! Would be a great way to brighten up a dark corner in a sewing room, laundry room, guest room, etc. Good idea, Tricia! These could also become a little ca$h project, if your local Pediatrician or Veterinarian would like birds or little dogs & kitties hanging around. In my area, one Ped Office had those little rubber frogs glued all over their ceilings. This would be much nicer. Thanks for the ideas, Heather! Thank you for sharing this very cute simple idea. My granddaughters and I will love doing this project together. Glad to find simple things to craft. Like this site. Hola, saludos cordiales. Estos pajaritos son una belleza, admiro su creatividad. Pueden ser usados en muchos proyectos y detalles decorativos. Hello, greetings. These birds are a beauty, i admire your creativity. Can be used in many projects and decorative details. I have very muched enjoyed your site and the projects you have posted there! The birds are beautiful and simple to make. I especially wish to comment about your instructions. They are easy to understand and to follow especially when trying a project I’ve never done before. Thanks for sharing and inspiring the artist in all of us! 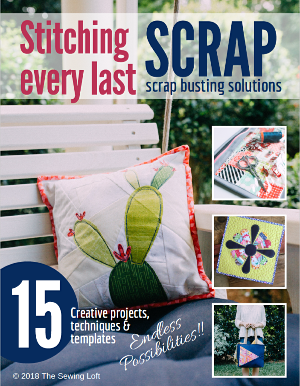 very fun use for all those scraps! I love the birdies! So adorable for refrigerator magnets ! So glad that I found your site! Just recently got back into sewing and you have some great inspirations! What an adorable and sweet project. Think ill make a flock for my daughter’s new apartment. Thanks for sharing. So glad that you like them. Thanks for the feature. What a cute & fun idea! My mom passed her love of birds down to me, what can I say? 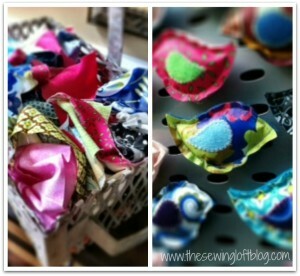 Thanks so much for sharing this great scrap-busting idea. You know, these would be great for basket-fillers & fund raisers, too! Here’s the link to my blog post about your great idea: http://theblueberrybee.com/1/post/2014/01/a-little-birdie-told-me.html. I hope you’ll fly on over & check it out! Thanks again! I am going to use them for fund raising at my local Bird Rescue Foundation. These are so cute! I like the idea of adding Mod Podge to the fabric to make them easier to work with and last longer. Thanks for sharing! These are so darling and fun to create. I am making a baby bird mobile for my upcoming grandchild to hang on the crib. Maybe I will make another mobile for my bedroom window too! I’m trying to find the tutorial for the scrap bucket basket and am having no luck. Can you guide me to it? Mod Podge dries clear so I put it directly over the top or right side to let it soak through.